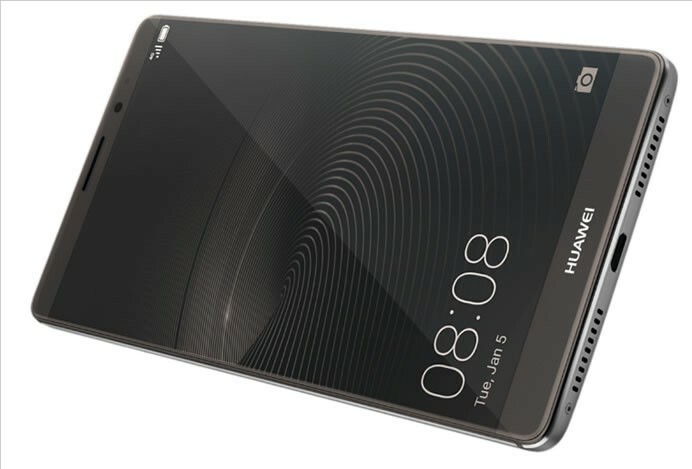 Today at CES 2016, Huawei globally launched the Huawei Mate 8 smartphone, a productivity-driven device with significantly enhanced power, efficiency and battery life. Featuring the most powerful chipset, a high-capacity battery and stylish design – including a unique mocha brown color option – the Huawei Mate 8 is the ideal smartphone for today’s on-the-go professional. The Mate 8 is designed from the ground-up for productivity and its hardware and software have been fine-tuned to provide an elegant, efficient experience. The Mate 8 features a refined, elegant design that highlights its beautiful 6-inch high contrast display. With a leading 83 percent screen-to-body ratio, the phone is able to stay sleek and compact without sacrificing a large display. The 2.5D curved diamond cut glass and aerospace grade aluminum metal are joined seamlessly, giving the device a blend of beauty and practicality. With new groundbreaking hardware, the Mate 8 is the first smartphone to run the Kirin 950 chipset, with CPU boosting power up 100 percent, GPU performance up 125 percent, and power efficiency up 70 percent compared to the Kirin 925. The device’s architecture balances energy efficiency with high-end performance through 4 x A72 2.3 GHz processors and 4 x A53 1.8 GHz processors. 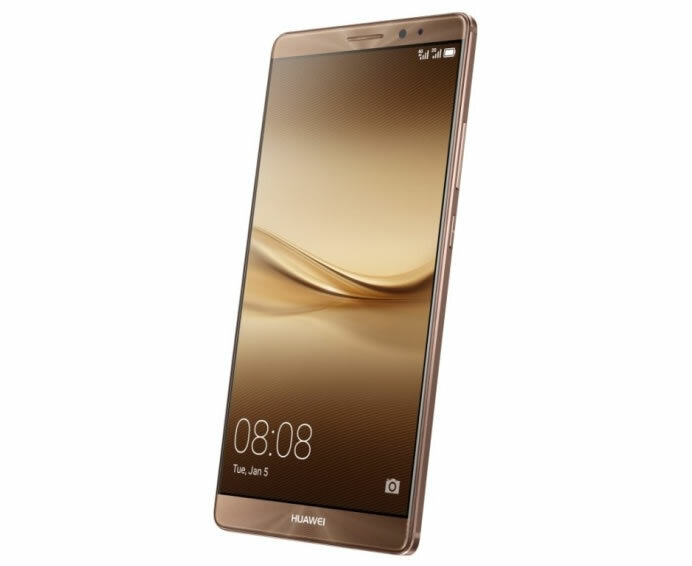 The Huawei Mate 8 introduces a new generation of fingerprint security with enhanced protection technology. The circular fingerprint sensor improves the effective identification area by 10 percent. The Mate 8 maintains two sets of fingerprint interface standards to improve smartphone payment experiences—the Fast Identity Online (FIDO) and Android M standards. Equipped with a 4000mAh high-density battery, the Mate 8 delivers industry-leading power efficiency offering over two days of normal usage. And with rapid charging technology, the phone is able to charge a day’s worth of power in just 30 minutes. In fact, regular users can go without charging their phone for 2.36 days, and heavy users can go without charging for 1.65 days. The Mate 8 also features advanced six-layer thermal mechanics, which allows higher heat dissipation, leading to an excellent handling experience and lower power consumption.Running on Huawei’s EMUI 4.0, based on Android Marshmallow 6.0, the Huawei Mate 8 offers hundreds of user experience tweaks and improvements, including a built-in automatic defragmentation service that continues optimizing system performance. Additionally, the Mate 8 features a split-screen mode that enables enhanced multitasking between apps. The Mate 8 adopts the revolutionary, all-new Sony 16MP IMX298, increasing the sensor size by 23 percent for breathtaking images. The Mate 8 also features an 8 MP front camera with a new beauty algorithm for taking the perfect selfie. The Mate 8 provides a microSD card lock, preventing anyone from accessing content in the card without a password. If a phone is stolen, user data cannot be obtained. Huawei invested $98 million over three years to develop the first proprietary image sensor processor for faster focusing, higher clarity, and more accurate color shading. 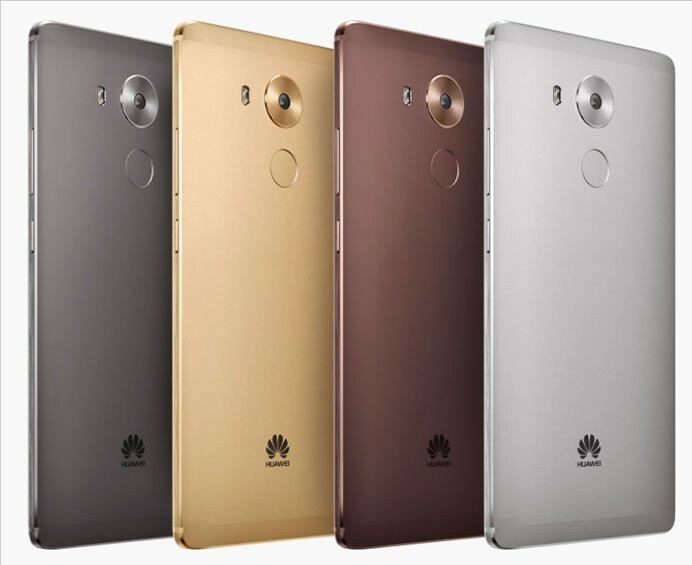 The Huawei Mate 8 will be initially available in 30 countries including: Spain, Germany, France, United Arab Emirates, Mexico and Australia. 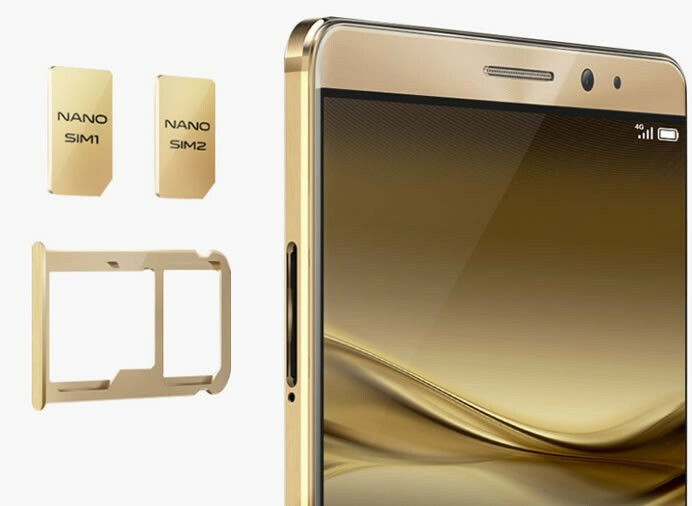 The device will cost 599 euros for 3GB +32GB and 699 euros for 4GB + 64GB. It is available in four elegant colors: champagne gold, moonlight silver, space gray and mocha brown.